Does George Warleggan finally have the upper hand against his archenemy, Ross Poldark? Can George’s growing power in Cornwall cement his control over the fate of his populist foe? Poldark Season 3 is almost here! The first episode introduces fresh doubts about the paternity of Elizabeth’s impending baby, along with some consequential new characters, including Ellise Chappell as Elizabeth’s pretty cousin Morwenna. Hired as the governess for Elizabeth’s young son (by her previous marriage to Poldark’s cousin Francis), Morwenna is soon a pawn in George’s grand game to win political influence. Of course Morwenna would prefer to share company with Demelza’s strapping brother Drake, a lay minister played by Harry Richardson (Dunkirk), but George intends her to marry the recently widowed Reverend Whitworth, portrayed with unctuous piety by Christian Brassington (Elizabeth: The Golden Age). The new season is also packed with a mysterious plague of frogs, a thwarted famine, and Aunt Agatha’s eagerly anticipated one-hundredth birthday party, which has a catastrophic catch. But the most stirring action involves the French Revolution, which manages to ensnare one of the program’s main characters in its Reign of Terror, prompting Poldark’s most dangerous mission yet. Perhaps even more perilous — at least for his psyche — is Ross’s cooling attitude toward Demelza. Reckless to a fault, he appears to be throwing it all away — a magistracy, a seat in Parliament, his lands, and even his red-haired beauty. What on earth could he be thinking? 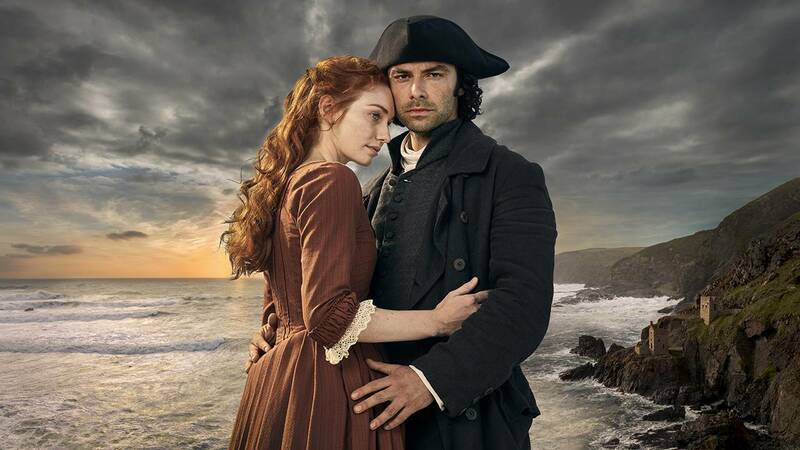 Poldark Season 3 premieres Sunday, October 1, at 9pm on ThinkTV16 and CET and continues Sundays at 9 through November 19.